The Canadian Landmine Foundation’s Paul Esau recently caught up with filmmaker Richard Fitoussi about his new project, Lloyd, which chronicles the political achievements of former Minister of Foreign Affairs, Lloyd Axworthy, in working directly with government representatives and members of civil society to engineer the 1997 Ottawa Treaty to ban anti-personnel landmines. Richard Fitoussi has been creating films and awareness about mine action for a long time. 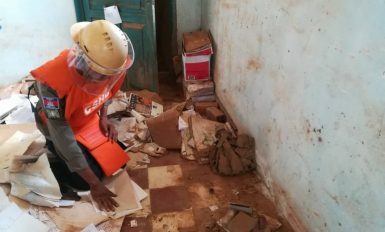 He has filmed and produced documentaries about the Cambodian Landmine Museum (Year Zero, 2007), the museum’s founder, legendary deminer Aki Ra (The Perfect Soldier, 2010), and the journey of a landmine survivor through a Cambodian hospital (Landmine E.R., 2015). 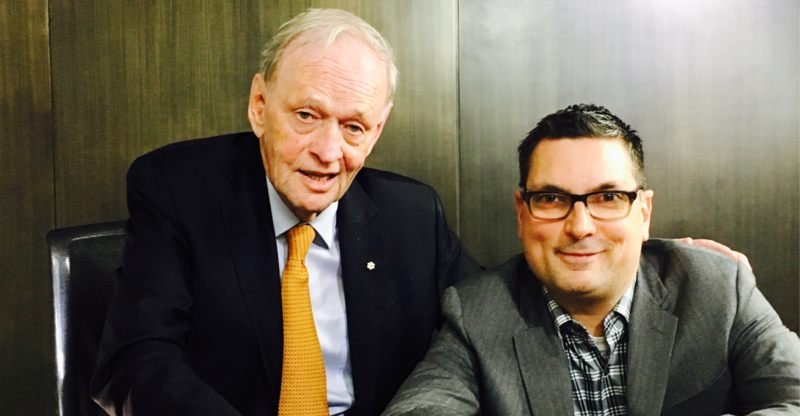 In the interview, Richard argues that the Ottawa Treaty is arguably Canada’s greatest contribution to the world, elaborates on the difficulty of booking Bill Clinton for an interview, and describes his own brush with landmines in Afghanistan. 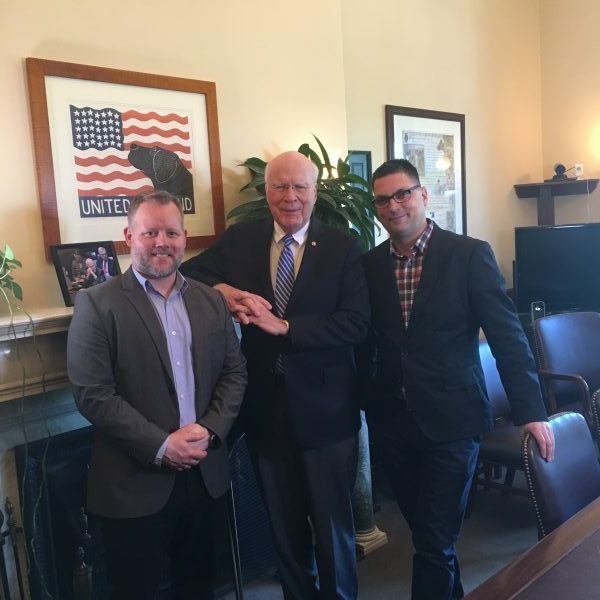 Richard Fitoussi (right) with Patrick Leahy (centre), the Senior State Senator from Vermont, and longtime supporter of Mine Action. 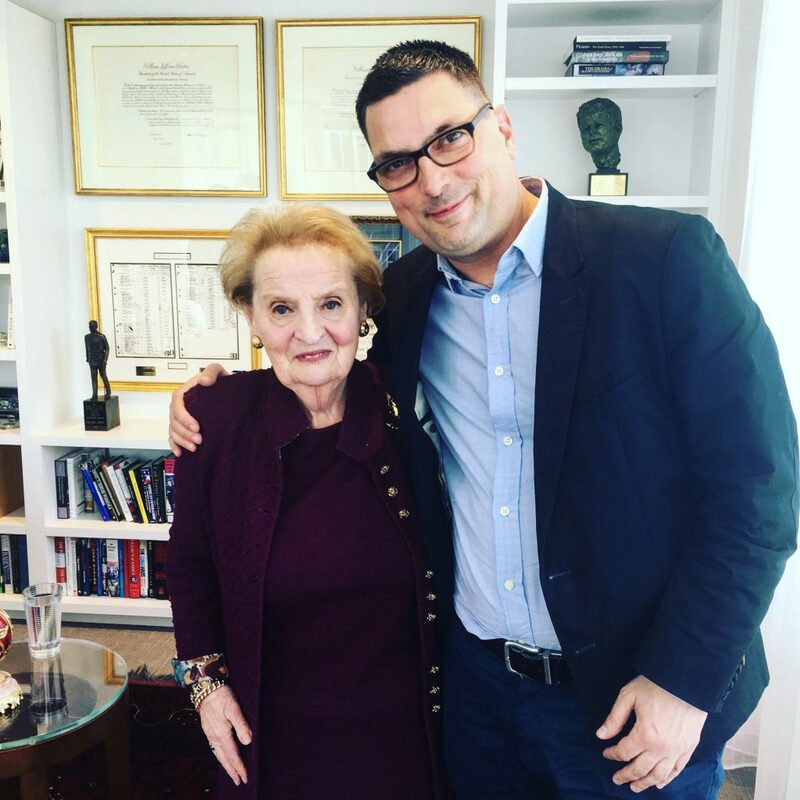 Richard Fitoussi with Madeleine Albright, former Secretary of State under President Bill Clinton. Richard Fitoussi with former Canadian Prime Minister Jean Chretien.